Thank you for your interest in You & I Caterers. We've served customers in Colorado Springs, Colorado, and throughout the United States for over 20 years now, offering convenient catering services. Let us make your next event a memorable one. 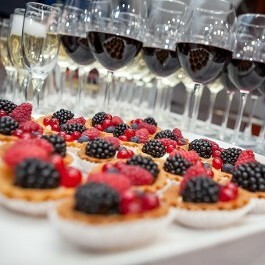 We provide a variety of event services, including retirement, birthday, and wedding catering. Whether you need a hot meal for your group meeting or boxed lunches for your next open house, we have you covered. You name it—we do it. 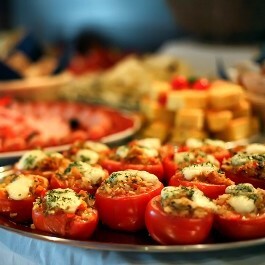 We understand that there are many catering services from which to choose. Let us make your decision a little easier. When you work with our company, you will receive the highest degree of professionalism, courtesy, and creativity. Our Executive Chef, Nebas Ramirez, is a graduate of Johnson and Wales University. He personally designs every menu to create a unique experience for each of our clients. Our talented staff supports Nebas, to ensure that each of our meals can only be described as a work of art. We've included a sample menu to provide you with an idea of what is available. We put our clients first and we will always make your event exceptional. Choose from our large selection of menu options or work with our chef to customize a menu that is one of a kind. Once you've made your choice, sit back and leave the rest to us. Please take a few minutes to look over our catering information and let us know when you are ready to start planning. With more than 35 years of combined experience, we're proud to say that we are one of the premier catering companies in the area. We've served our customers at countless public, private, and charitable events throughout Colorado Springs, Colorado, and the Pikes Peak region. 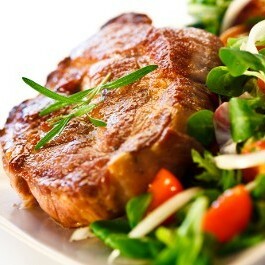 In addition to serving local customers, we do provide nationwide catering services upon request. Our company thrives on word-of-mouth, so your opinion of our services is very important to us. We will always ensure your satisfaction, no matter how large or small your event happens to be.